The Embarcadero, San Francisco's venerable jewel on the waterfront that boasts some of the city's most charming features, was at the center of a passionate debate Tuesday night over how and where to shelter the homeless. 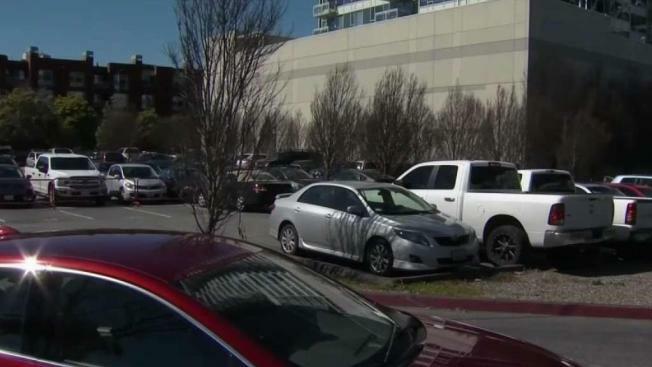 Mayor London Breed wants to turn an Embarcadero parking lot into a navigation center, and during a crowded Port Commission meeting Tuesday, many in the community pushed back. No one questioned the need for homeless services. But many residents questioned the decision of locating a homeless navigation center near high-profile public places such as the San Francisco Ferry Building and Oracle Park. Seawall Lot 330, owned by the Port of San Francisco, sits just down the road from those landmarks and could be the city's next navigation center. A show of hands at Tuesday's meeting quickly revealed who came to speak out against the proposal. One opponent was a mother of young children. "There’s feces, sometimes there’s needles!" the concerned mom said. "I had to call Public Works to pick up the needles. It’s just very overwhelming!" "This will be a disaster," he said. Breed proposed the location last week and said the site fills a need: helping homeless residents nearby and offering certain amenities. Neighborhood politics, she said, shouldn’t play a role. "Every part of the city has to share in on what we need to do in terms of providing shelters, providing affordable housing, providing more housing in general," Breed said. "You know, we gotta start looking at things differently." Dane Ince, vice president of the homeowners association at a nearby condominium building, said safety and the success of navigation centers headlines his reservations. He said it's not about property values. "That’s not a concern at all. That has nothing to do with it," Ince said. "We’re building stuff, rather than addressing, directly, the problems that this population faces head on." Ince also said police response in the area can be a little shoddy, though the city vows a good neighbor environment with precautions for safety. Only about half of the lot would be dedicated to the navigation center, which would likely be there for up to four years. A full vote by the Port Commission is expected April 23.